ola riders! Estamos começando os reviews do mais novo set especial chamado Savage Strike ! estamos analisando nessa semana os novo DRAGON deck chamado Guardragon !!! LETS GO! raça de dragões que apresenta múltiplos atributos(water, fire etc). eles tem suporte pra sincronização (iustia é tuner) muito embora eles não apresentem sincro monstros próprios ate o momento. eles apresentam suporte pra link summons , tendo 3 link monstros. a mecânica envolve a manipulação de dragões normais. quando estes são enviados pro cemitério (não especifica portanto pode ser do do deck ou da mao) e com isso ativa o efeito dos demais guardragons. Já os guardragons de extra deck podem invocar dragões do deck, cemitério, RFg zone e ate extra deck. Porem pra ativa esses efeitos, o monstro a ser invocado tem de estar numa monster zone que esteja linkada a dois link monstros simultaneamente . EU sei parece difícil, mas como vc vai ver nas vídeo demonstrações é totalmente exequível. 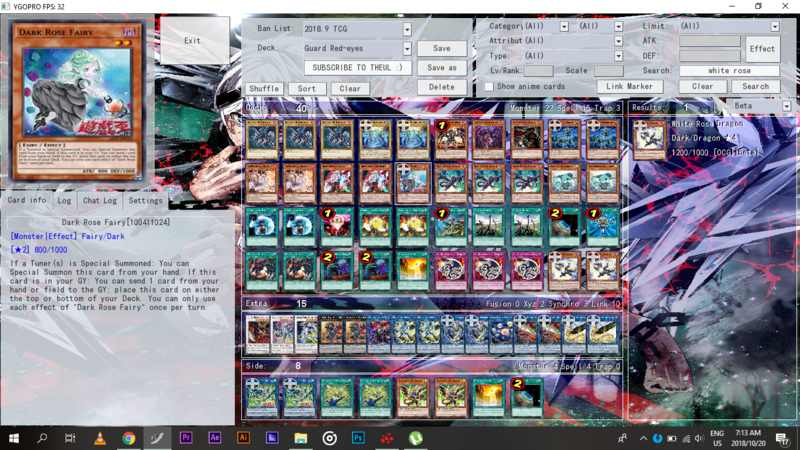 dito isso, o deck tem sinergia com todos os dragon-based decks existentes na atualidade: chãos dragons, hieratics, red-eyes, blue-eyes, dragunities, amorphage, buster blade(tema mixto), crusadia(tema mixto) etc. 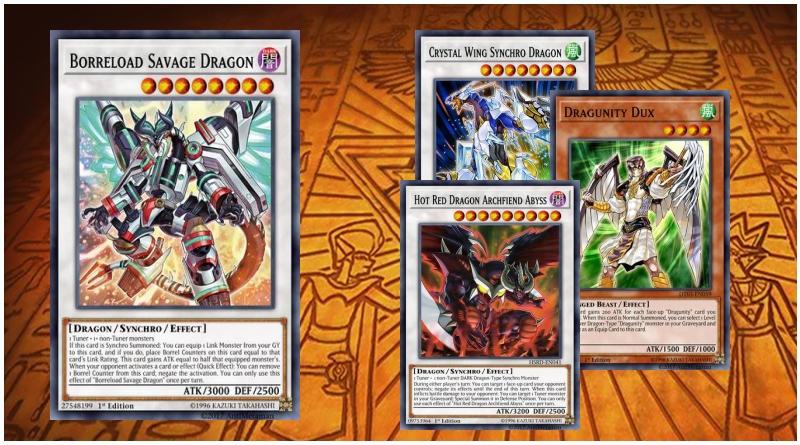 Guardragon Combo OCG 2 Cards! comentários: mosntro normal tuner lv2. You can use each effect among the (1)st and (2)nd effects with this card’s name only once per turn. (1) If a Normal Monster(s) is sent to your GY: You can Special Summon this card from your hand. (2) If this card is in your GY: You can send 1 Dragon monster from your hand to the GY; add this card to your hand. You can use the (2)nd effect with this card’s name only once per turn. (1) You can send this card that is in your hand or face-up on your field to the GY, then target 1 Dragon monster you control; it gains 500 ATK/DEF until the end of your opponent’s turn. (2) If a Normal Monster(s) is sent to your GY while this card is in your GY: You can Special Summon this card, but banish it if it leaves the field. Cannot be Normal Summoned/Set. Must be Special Summoned by a card effect. You can use each effect among the (1)st and (2)nd effects with this card’s name only once per turn. (1) If this card is Special Summoned from the hand or Deck: You can double this card’s original ATK/DEF until the end of the next turn. (2) If this card is Special Summoned from the GY, or if this card is Special Summoned while banished: You can target 1 monster your opponent controls; destroy that monster. comentários: semi-nomi monstro que não aceita normal summons. possui efeito de boost de status. se invocada de forma especial ativa efeito de remoção. You can Special Summon “Elpi the Guardragon(s)” only once per turn. You can use the (2)nd effect with this card’s name only once per turn. (1) You cannot Special Summon monsters, except Dragon monsters. (2) During your Main Phase: You can Special Summon 1 Dragon monster from your hand or Deck to a zone on your field that 2 or more Link Monsters are pointing to. You can Special Summon “Pisti the Guardragon(s)” only once per turn.You can use the (2)nd effect with this card’s name only once per turn. (1) You cannot Special Summon monsters, except Dragon monsters. (2) You can target 1 Dragon monster in your possession that is banished or in the GY: Special Summon it to a zone on your field that 2 or more Link Monsters are pointing to. You can only Special Summon “Agapain the Guardragon” once per turn. You can use the (2)nd effect with this card’s name only once per turn. (1) You cannot Special Summon monsters, except Dragon monsters. (2) During your Main Phase: You can Special Summon 1 Dragon monster from your Extra Deck to EITHER a zone on your field that 2 or more Link Monsters are pointing to, OR an Extra Monster Zone that 2 or more Link Monsters are pointing to. You can use the (1)st effect with this card’s name only once per turn. (1) You can target 1 Dragon monster you control; until the end of your opponent’s turn, it gains ATK/DEF equal to the combined Link Rating of all Link Monsters on the field x 100. (2) Once per turn, if exactly 1 Dragon monster you control (and no other cards) would be destroyed by battle or card effect, you can send 1 Normal Monster from your hand or Deck to the GY instead. (1) When this card is activated: You can target 1 Level 4 or lower Dragon monster in your GY; either add it to your hand or Special Summon it. (2) Once per turn: You can target 1 Dragon monster you control; move it to another Main Monster Zone on your field. You can use the (1)st effect with this card’s name only once per turn. (1) You can send 1 Effect Monster from your hand to the GY; Special Summon in Defense Position 1 Level 4 or lower Dragon Normal Monster from your hand, Deck, or GY. comentários: remoção estilo "icarus attack"
o arquétipo já tem vários OTKs tanto que causou o banimento de diversas cartas (incluindo dark matter dragon) na ultima OCG ban list!